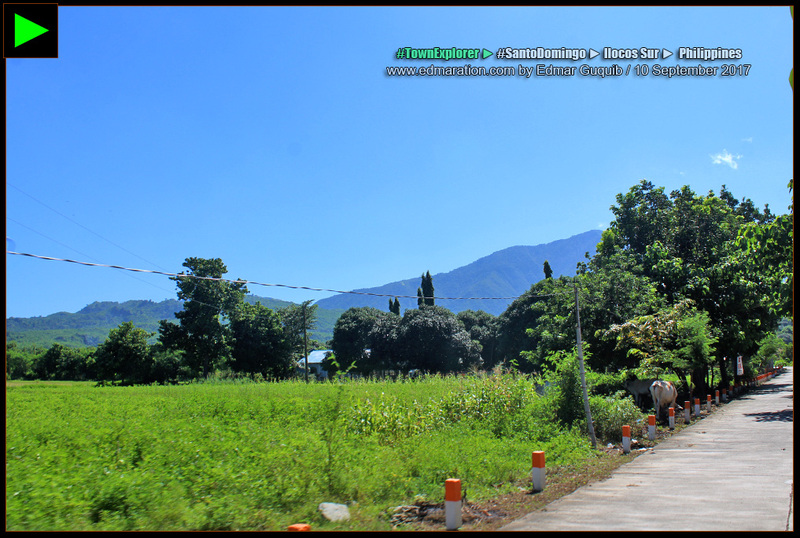 LAST UPDATED: 2019-March-09 | Why the mountains east of the first district of Ilocos Sur are mysterious? Getting closer, mountains spoke to my heart. They didn't need words to communicate. Everything was non-verbal. It was a connection of the human soul and nature that oftentimes, leave you speechless. 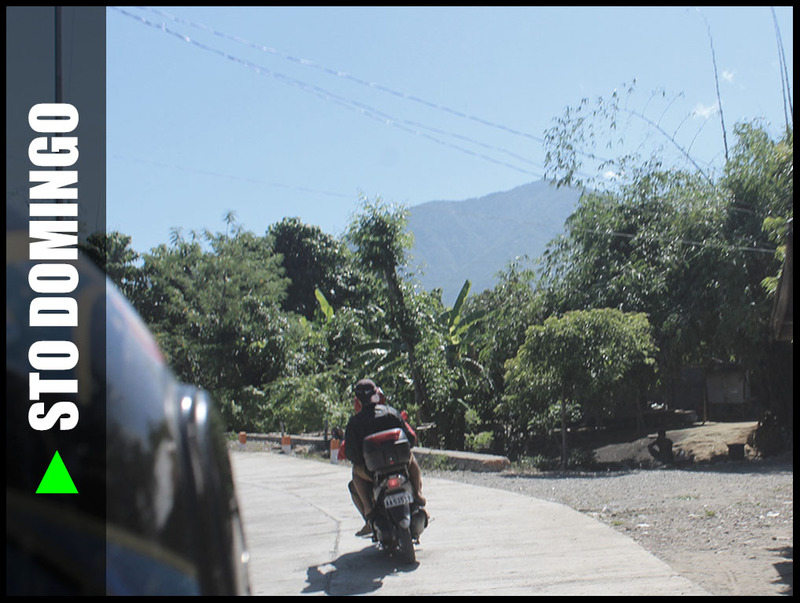 ► The east hosts mountains not well-visited by Ilocanos—except maybe for the mountainside villagers. ► With four motorbikes and eight souls, it was a family convoy. 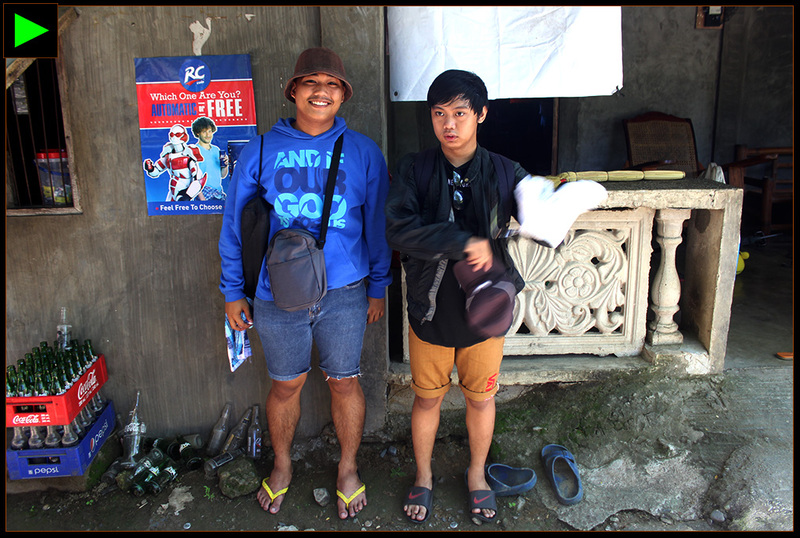 and rode our motorbikes all the way to the municipality of Santo Domingo, Ilocos Sur. My subheading has spoken—my mom won't let us go. No, not the other members of the family but her three boys—that would be me and my two brothers. Everytime her three handsome boys go out for an adventure with their motorbikes, she would start the nag and she'd not let us leave the house. Well, we know her reason. My mom's afraid something might happen. However, this has been a ritual everytime and we know we'd undergo this stage before we leave home. We've been used to it. We no longer complain and it's been a part of the process for us. We love our mom and we know her pre-adventure acts are a display of love for us. We make her feel calm by assuring we'll be alright. | 1 | [SANTO DOMINGO] ► THIS IS MY FAMILY: TWO BROTHERS, TWO COUSINS, TWO UNCLES (IN LAW), AND MY AUNT (MOM'S YOUNGEST SISTER). After the nagging of love we consider as Stage 1, my mom would perform her role on Stage 2. She would double check our helmet if we brought it with us. She would remind us to keep our money deep in our pocket so that we'd have something to use during emergency. She'd refill an empty bottle of water for our journey and makes it sure she'd be along the road as she watches us disappear from her sight. That's my mom and we understand her motherly rituals. With four motorbikes and eight souls, it was a family convoy. We started the ride at 09:00 AM without breakfast but with faith. There'd be trekking. We'd climb a mountain . This family may have gone wrong. We knew we weren't physically prepared—my fault. It was an ineffective coordination on my part. We rushed knowing that the guide was already waiting for us that day. With a whoosh, no taking a bath, no time for contemplation, we took a pill of courage and we pushed the adventure. 09:00 AM was already late. The guide may have been waiting since 07:00 AM. I felt sorry. | 2 | [SANTO DOMINGO] ► COUNTRY ROAD, TAKE ME HOME... TO THE PLACE... I BELONG. We reached the municipality of Santo Domingo after around thirty minutes. We had no food prepared so we searched for a carinderia to buy food for our lunch. There were several carinderias at the commercial space of the Santo Domingo coliseum so it saved us. I know myself. It would be hard for me to climb a mountain without breakfast so I purchased a supply of glucose. I informed our guide about our arrival and after a while, she came to the place where we stopped. The guide was ate Marygane Padron. We simply call her "Gane" by the way. She's my aunt's old friend. When they were still in high school, I used to see her in our family house together with some of their friends in their circle. Ate Gane was very ready. She brought her own motorbike—the fifth unit in our convoy. She had a toolbox attached to her motorcycle. She was fit and looked vibrant. Her spirit of adventure was contagious. 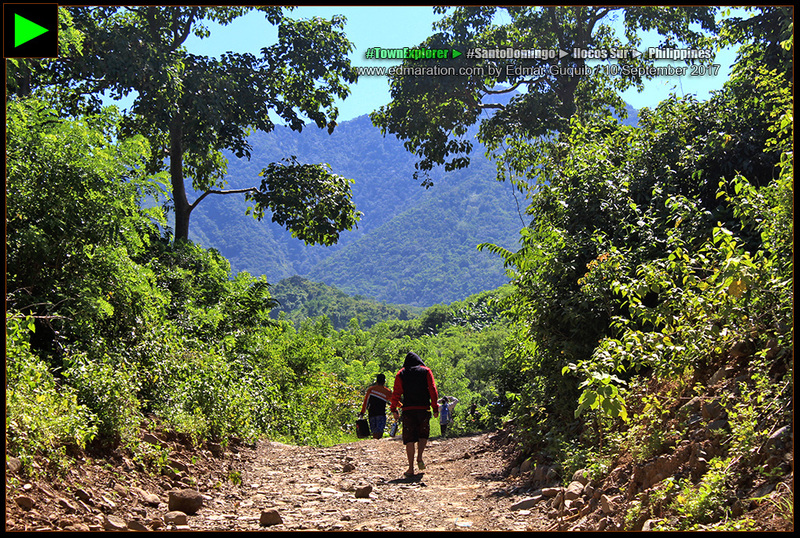 We took the road that led us to the mountainsides of Santo Domingo. This was fun. It was fun. I never did this before. I've only explored the poblacion and the coastline of the town so exploring its wilderness was an opportunity for me that I didn't want to let go. 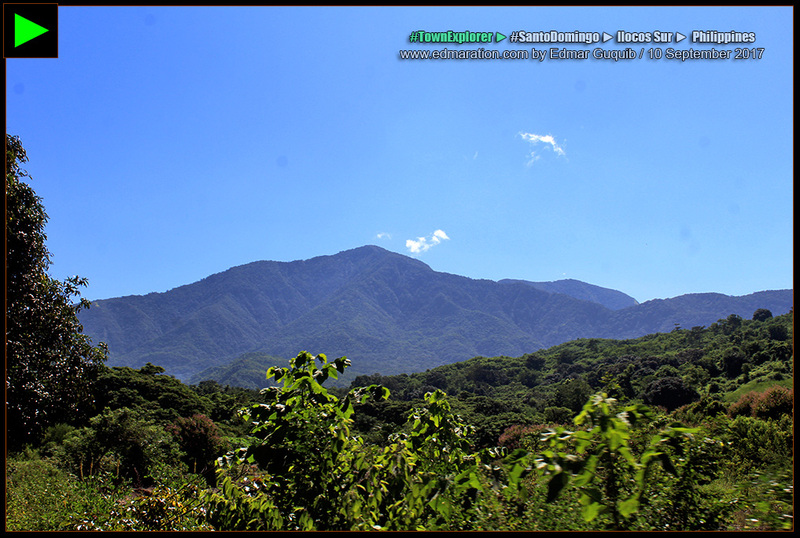 In Ilocos Sur, Santo Domingo is never known (or less known at least) for its mountains. 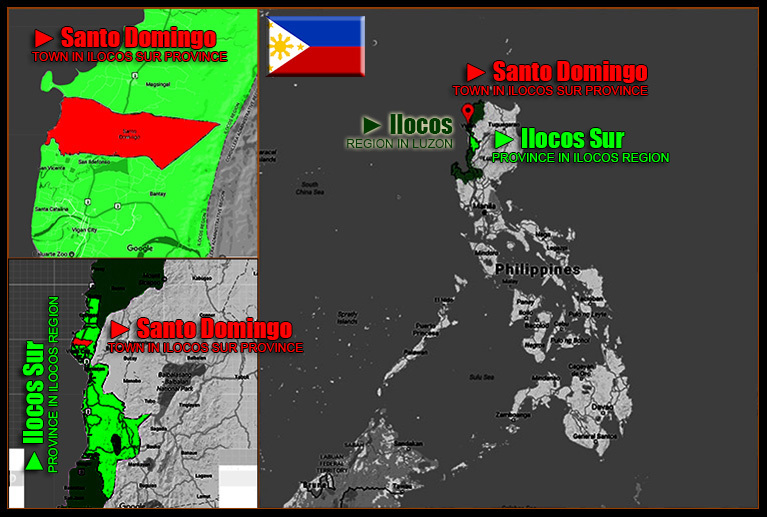 Most Ilocanos would never associate Santo Domingo with mountains so I was thrilled to see the other face of the town. | 3 | [SANTO DOMINGO] ► WHEN THE GRASS IS GREEN AND THE SKY IS BLUE, MY LOVE WOULD BE RED TO PAINT A RAINBOW OF HOPE IN YOU. | 4 | [SANTO DOMINGO] ► WHEN THERE'S A ROAD, THERE'S A DESTINATION. | 5 | [SANTO DOMINGO] ► THE ILOCOS MOUNTAIN RANGE OVERLOOKED WITH MYSTICISM AND SILENCE. | 6 | [SANTO DOMINGO] ► CITIES ARE GREAT, BUT MOUNTAINS ARE GREATER. It was getting late that weekend yet it was too early to tell if we could survive the adventure. However, I was positive that we would. 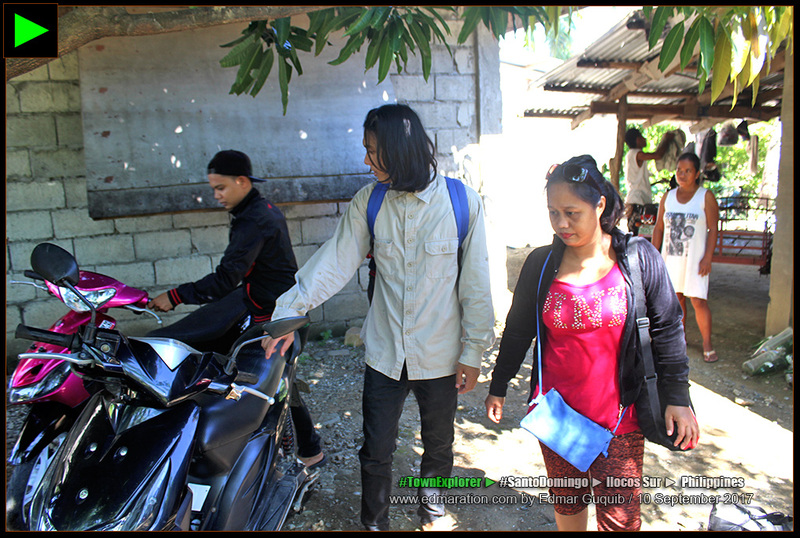 Moving on, we passed by some barangays I used to visit for my thesis writing back in college as well as for my fieldwork as a campus journalist of the University of Northern Philippines. I remember the name of places like Nalasin, Quinarayan, and Santo Tomas. However, I knew Binongan even before my college-related visits because I also used to join my mom in her church ministry as she shared the Words of God to the villagers of Binongan—the barrio before Lao-ingen. I still remember the people who sold a sack of charcoal to us and I even witnessed for myself how they made it. The road was good and there were some improvements along the way. Somewhere in, or near, Binongan was a fork. We turned left for Lao-ingen and followed the road that ran alongside with the creek. The road at the right goes all the way to Nagbettedan. 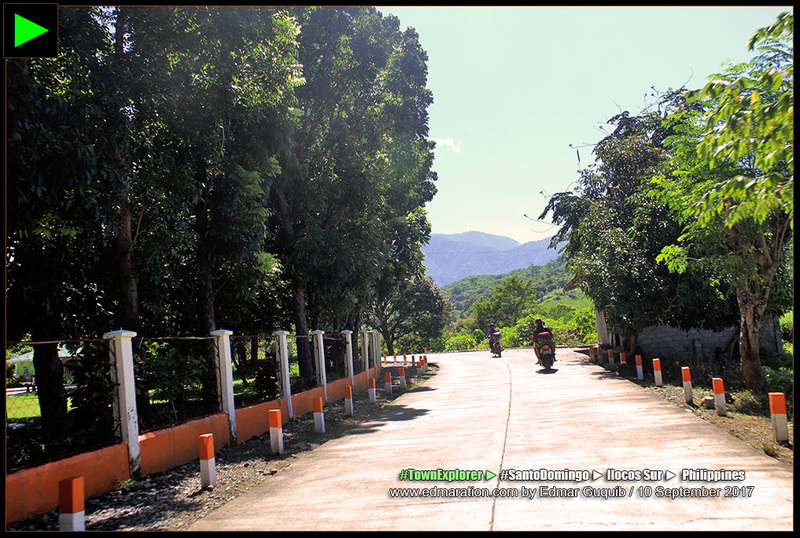 Both Lao-ingen and Nagbettedan are barangays located at the foot of the Ilocos Mountain Range and the road that split into two directions would end into them. 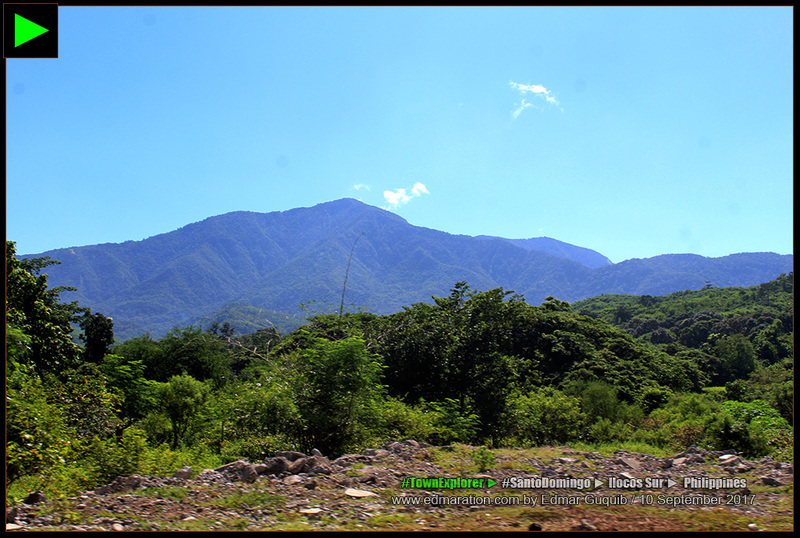 As we drove farther from the poblacion of the town, the mountains got nearer (and bigger). From the highway, they're a silent roadside display from afar and most of the time, their view are obstructed by roadside structures. Getting closer, mountains spoke to my heart. They didn't need words to communicate. Everything was non-verbal. It was a connection of the human soul and nature that oftentimes, leave you speechless. As our convoy reached the last village, the road reached its last segment too. The last segment of the pavement was laid over a piece of land where the populace dwells. Big smile from unfamiliar and random people would erase the stranger in us. They looked at us passionately as if we were important visitors. The small village knew who were the outsiders. I knew that they knew we were. Beyond the pavement were open green spaces and a river that twirled to the valley. We were very near the mountains. Farther was a nature reserve devoid of human settlement and traditional comfort. "Come in. ", said by an unfamiliar face. Our guide Gane contacted her relatives in this village to oversee our motorbikes. We entered a property fenced with barbwires. Inside it was a mango tree and we put our motorbikes under it. | 7 | [SANTO DOMINGO] ► THE END OF EVERY JOURNEY IS THE START OF ANOTHER JOURNEY. WE JUST REACHED OUR BASE. | 8 | [SANTO DOMINGO] ► MY TWO COUSINS HAPPILY REACHED THE LAST SITIO OF LAO-INGEN. Where are we going next? Will this family be united as one? Shall we survive the adventure waiting for us? Shall we quit as one or shall we divide the group and leave the quitters? The mountain was waving. We were nine in the group. Only three of us have previous mountain trekking experience at least once. The rest, neophytes. I hoped for an easy trail but how would I know? No turning back. Lord, take care of my family. 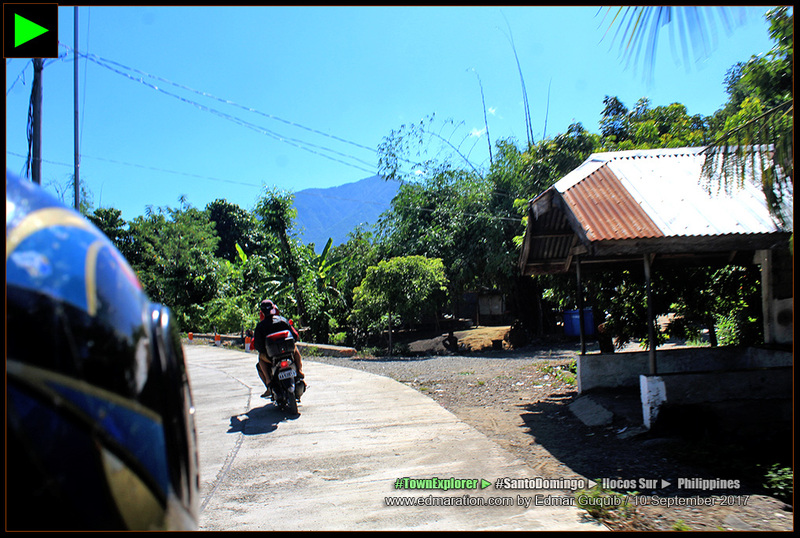 [SANTO DOMINGO] ► Family Motorbike Ride to the East (Lao-ingen) | You are currently on this page. ✈ This post was filed under the category "Motorcycle Diaries" See more posts related to this below. 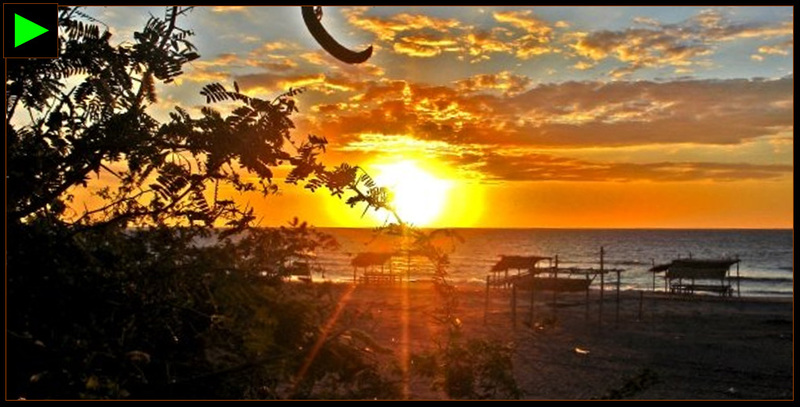 ► 2019-March-09: Cover photo and caption lay-out modified. Subheading lay-out modified. Cover photo for Blogserye 005 added on the series tracker. Episode lead photo changed to thumbnail from full width.